Window Concepts’ selection of vertical blinds works extremely well if your windows are especially large or deep, or you want privacy and light control for a sliding glass door to your open back yard. As their name indicates, vertical blinds consist of separate slats of wood, aluminum, or vinyl that run up-and-down rather than across. 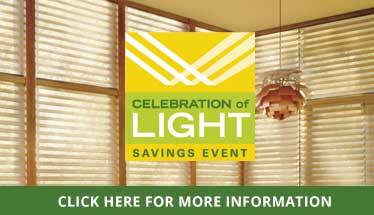 The slats tend to be wider than in ordinary Venetian blind window treatments. Slat widths normally run from about 3½ inches, the commonest, to over 300 inches for commercial spaces. Our vertical blinds can be custom-fitted to your home by cutting the slats to meet your bay window’s or glass door’s height. Also, these slats don’t have to be flat. They can be S-shaped. As vertical blinds may be installed within or outside of your window’s frame, they are very easy for our crew to install. A cord through the bottom part of the slats keeps the blinds from coming apart. When you need sleek track vertical blinds, go with Skyline gliding window panels by Hunter Douglas. These wide slats in subdued colors add a cool dignity to rooms with wide expanses of glass. You can even employ them as unusual room dividers. For a warmer glow in a light-filled room, Cadence soft vertical blinds may be your ideal choice. These narrow-slatted blinds look extraordinary on porches and in sunrooms. They feature soft folds reminiscent of a waterfall pattern. For something more colorful in your vertical blinds, Hunter Douglas’ Somner collection affords you the best variety. For a crisp home office look, Vertical Solutions blinds sport distinguished 3½-inch slats. A well-appointed set of vertical blinds makes your room appear higher. Also, these window treatments, perfected by Hunter Douglas, the world’s leading window-covering brand, maximize privacy for hard-to-fit spaces. Furthermore, vertical blinds are less likely to accumulate dust than ordinary horizontal blinds. Cleaning these coverings is simple once you close the blinds. A dampened cloth and a bit of soap or vinegar will do the trick. When you think vertical blinds are the best choice for YOUR home, count on the Main Line’s first choice. Come to our Paoli, PA store for the best Hunter Douglas has to offer, always at a fair price.